This is the coloured version. I was originally gonna colour it with colouring pencils, but my dad suggested that I use watercolour paint for it, and because he is the artist of the family, I trusted him and thought it was a better suggestion. He helped me with this of course, but I'm still quite proud of how it came out. 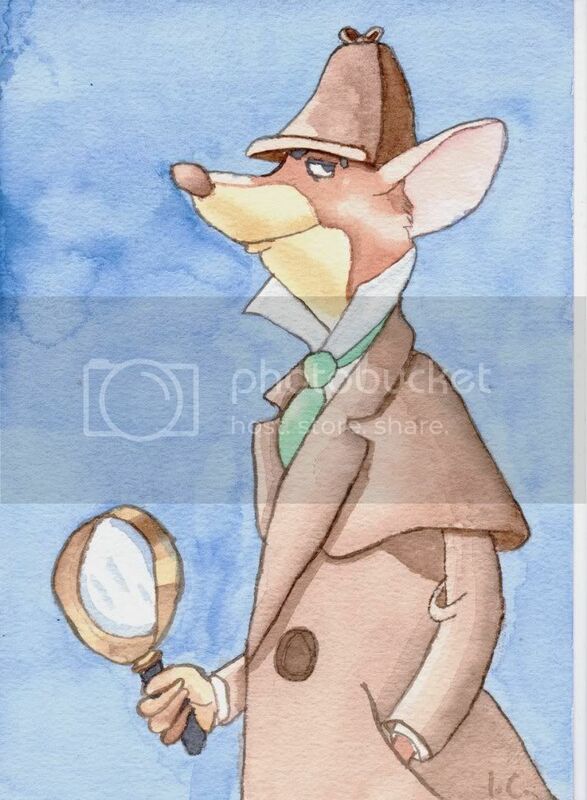 Although, there are a couple of things I'm not quite happy about with this painting, like the colour of his coat and his hand holding the magnifying glass. Apart from that, I'm quite proud of this. The letters, "I.C." down at the corner are my initials.